I am wondering why my wife keeps saying that being a stay at home mum is such hard work. I am not trolling here - but i frankly dont understand. Seems simple enough to me. 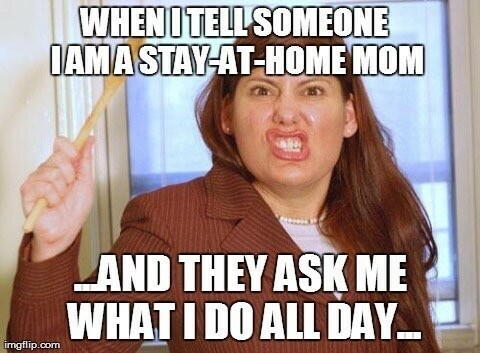 I have taken care of my kids and home all weekend before and it's definitely no where as stressful as having a job. Our kid is 11 months and is formula fed. We live in a 4 rm flat. This meme reminded me of this question! yesits not easy but the happiness is priceless..